Have you thought about dabbling in mixed media techniques? 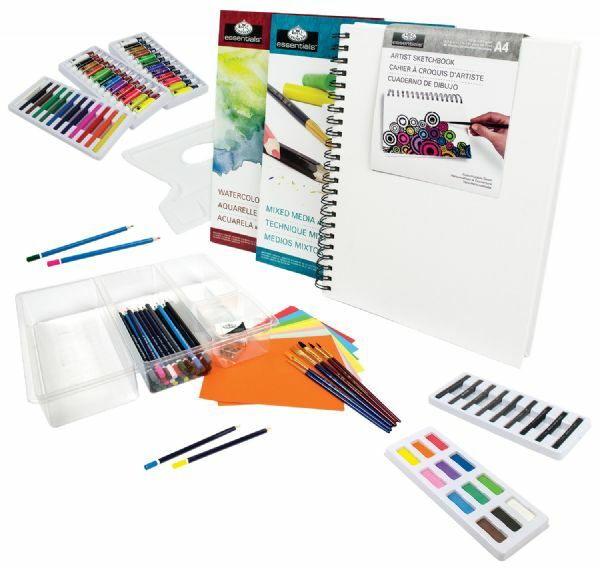 If you have this all-in-one art set is perfect for you. 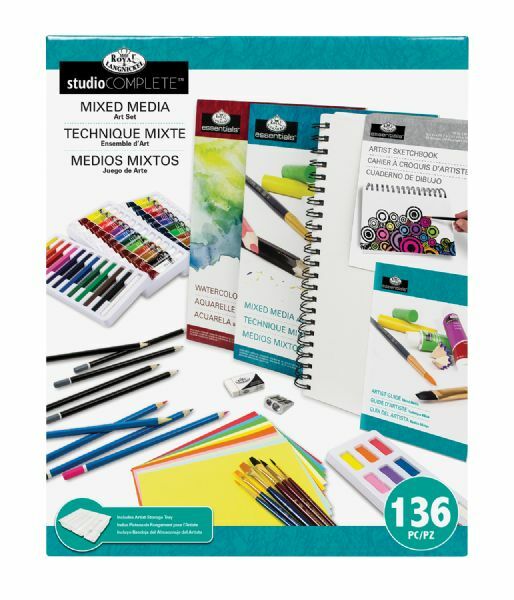 * It includes 136 pieces to help you start on your mixed media adventures. * Kit includes: 15 Sheets of Assorted Artist Paper 12 Acrylic Paints (5 ml) 12 Watercolor Paints (5 ml) 12 Watercolor Pencils 12 Watercolor Cakes 12 Compressed Color Sticks 12 Oil Pastels 12 Color Pencils 9 Graphite Pencils 6 Sketching Sticks 6 Brushes 3 Charcoal Pencils 3 Charcoal Sticks Sharpener Kneadable Eraser Eraser Palette Knife Palette Artist Guide Booklet Canvas-Covered Artist Sketchbook Mixed Media Artist Pad Watercolor Artist Pad Artist Storage Tray. 20" x 16" x 3.7"